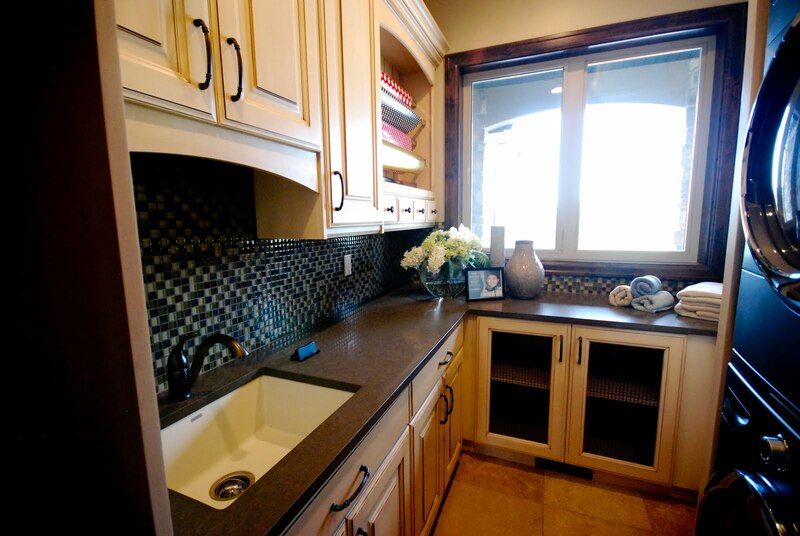 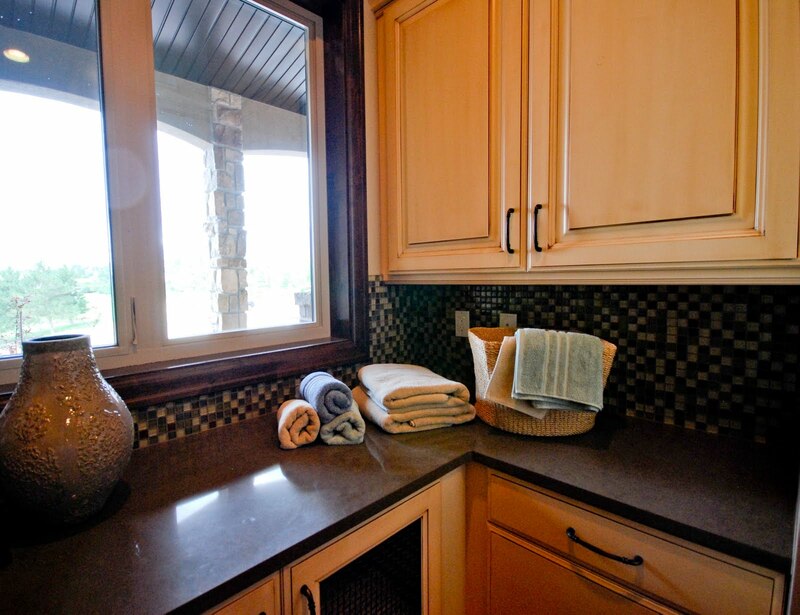 Here are some pictures of the Laundry Room at Home #4 in the Salt Lake Parade of Homes, where we did the countertops. The countertops are #4350 Lagos Blue CaesarStone with a 1 1/4" Square Polished edge detail. 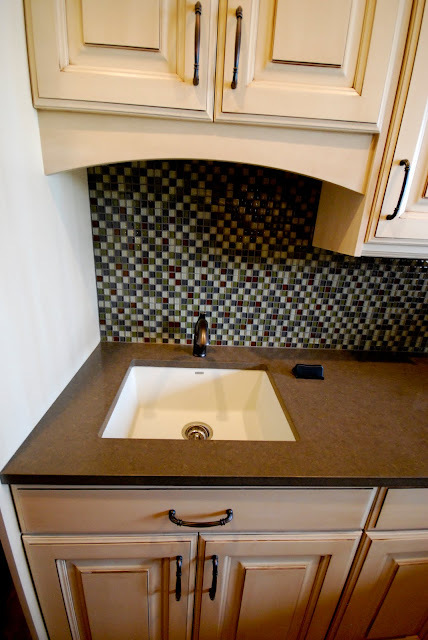 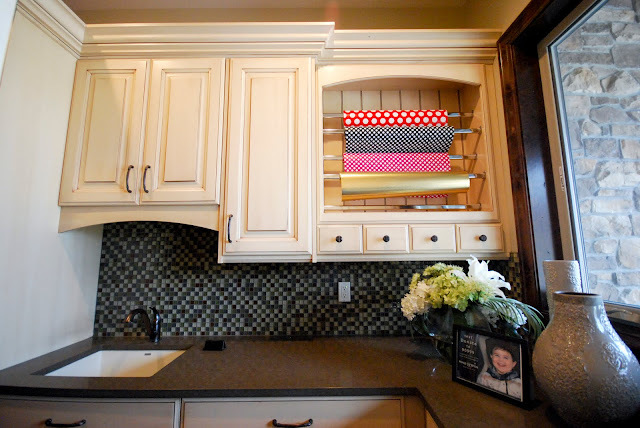 The homeowner selected a beautiful glass mosaic tile for the backsplash. 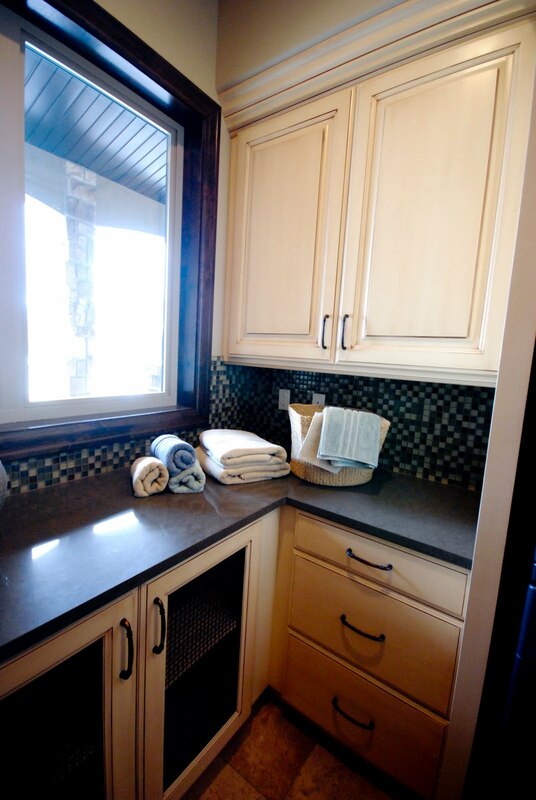 You can't see it in these pictures but they have two sets of full size washers and dryers in this Laundry Room. 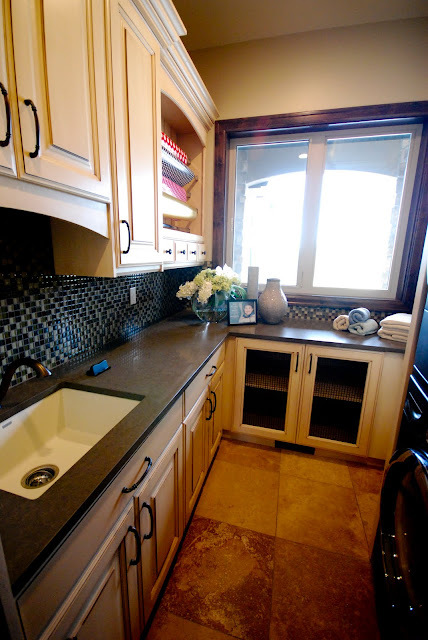 I'm so jealous!